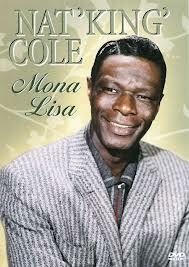 The wireless was playing Nat King Cole singing ‘Mona Lisa’, and on the 16th January 1950 the BBC’s first broadcast of ‘Listen with Mother’ was heard, as the women of the city were getting used to being back at home looking after the kids as the men returned to take over the jobs that the women had done in wartime. The remaining population of Liverpool after the Second World War numbered 981,000 scousers, and Liverpool ushered in the 1950‘s. The stark reality though, was that Liverpool was a city with a whole lot of work to do to rebuild its past. It was the most severely bombed city outside of London especially during the heavy bombardments of the May and June blitzes of 1941. More than 10,000 homes were destroyed and some 3, 875 people killed. I was born in 1950's Liverpool in the north end of the City, my parents’ home was in Athol Street just off Scotland Road, so my childhood memories are of this and the surrounding area. I grew up among the Mills and Tate and Lyle, the daily site of the Dockers making their way over the bridge to the docks. My Dad and my uncles worked in Crosfields and an early years treat for me was to be taken to the top of the Crosfields grain silo. What a view that gave me across the city to Everton and beyond in one direction and from the other direction, the Wirral, New Brighton and the Hills of Wales. 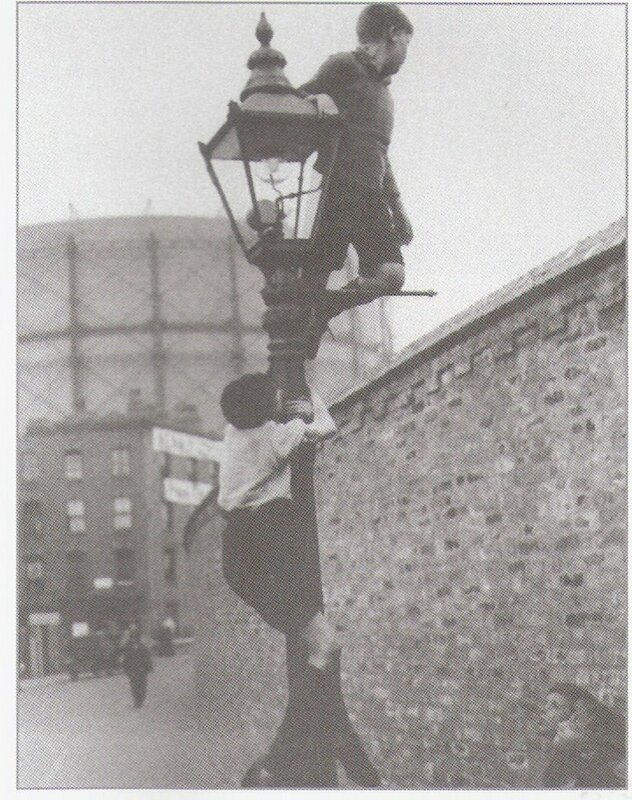 As children our playground was the 'bomdies' or to be more precise the rubble of the building destroyed by Hitlers Luftwaffe, we would chase the Tate and Lyle wagons to open the little inspection hatch at the back, catching the brown sugar that spilled out and filling our pockets, or sometimes getting a hand covered in sticky molasses. 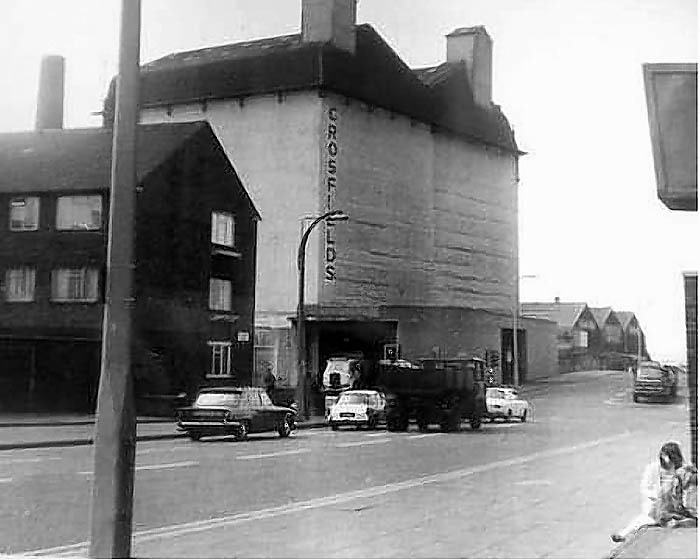 A day out would be with an old Schofields lemonade bottle, filled with water and maybe some sherbet lemonade powder if we were lucky, a few jam butties and a walk to Stanley park. We would have a game of footy if someone had an old case ball, we would go on the swings go and see the cuckoo clock or stand outside the railings around the little stage where they would put on shows. In the summer sometimes a day trip to New Brighton would be on the cards or if you were really lucky a day trip on a 'Home James' charra' to somewhere exciting like Rhyl, or Holywell or even the Horseshoe pass. 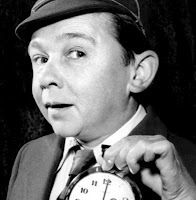 Sunday afternoon was ham sarnies and if we were lucky jelly and condensed milk, then listening to the Clitherow kid (Jimmy Clitherow) on the radio or two way family favourites. Then a scrub behind the ears and early to bed for school on Monday morning. Getting up early in the winter with frost on the inside of the windows and stepping onto the freezing cold oilcloth wasn't the best way to start the day, but the brisk walk to school would wake you up. I used to look forward to school milk at morning break and if I was lucky a piece of cold toast my Mother had wrapped up for me. 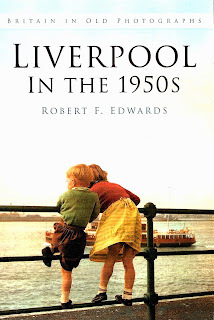 So you see, when the opportunity came for me to write an illustrated book about 1950s Liverpool, there was obviously no shortage of memories for me to draw on and because of my long standing interest in local history it was a great opportunity to share some of my vast collection of old Liverpool photographs. 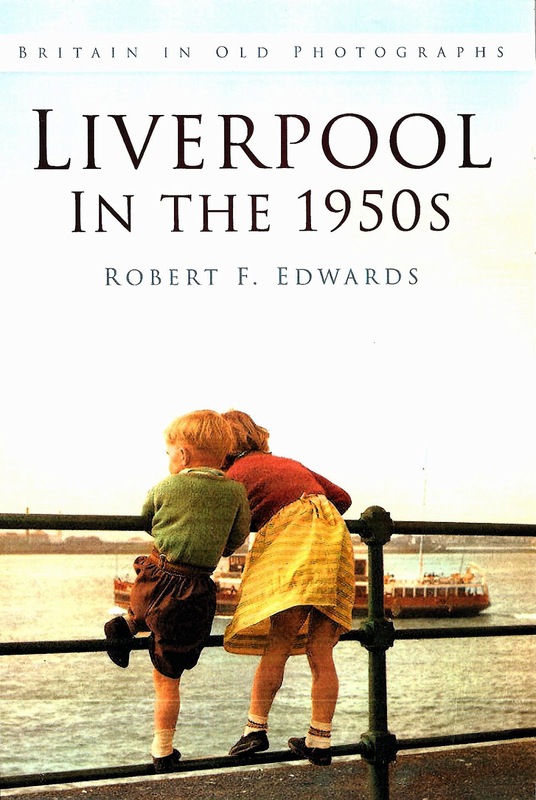 Liverpool in the 1950s will to take you back to that period in our history when despite what seemed like an impossible task, the people of Liverpool simply knuckled down and got on with it. But the focus of the book is not just on the centre of the city. Page by page we will take you on a journey through the Liverpool districts from Bootle to the Garston and show you exactly what life was like back then, courtesy of the photographers of the period. Showing you photographs taken by the City Engineers department recording the buildings left standing after the war, and showing some of the newer developments that were happening in the suburbs. Local photographer Johnny Lockhart was also out there with his camera taking photographs that would become an invaluable record for generations to come. The men and women of Liverpool City Police are also featured and we get an insight into just how the police force in Liverpool developed during the 50s. 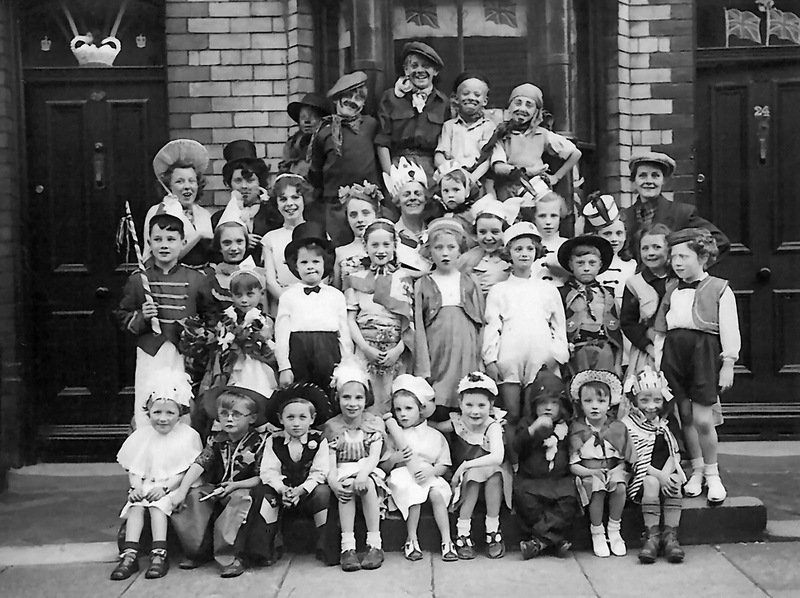 Coronation year was the best excuse for a party since the war, and as Queen Elizabeth ascended the throne scousers came out in droves to decorate the streets and celebrate with street parties. The shops were filled with memorabilia and in city centre the council were proud to join in, decorating public places and organising events. Take this opportunity to have a nostalgic look at the city as it was, the people, the fashion the shops, the markets and the transport. With over 200 photographs, many previously unpublished, this is the story of, ‘Liverpool in the 1950s’.